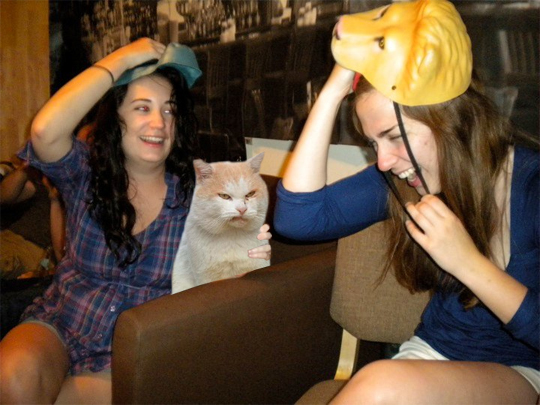 That Boozecat is not at all impressed by this girl's attempt to emulate a Boozecat. He looks like he wants to blast her with his laser eyes. She doesn't seem scared, and is laughing in his face. Someone laughed in Garfield's face once . . . . and he ate them. Watch out! Some two ideas in this posting are ultimately the best we’ve had. Right now it sounds like Expression Engine is the best blogging platform available right now. (from what I’ve read) Is that what you are using on your blog? Cheers!